After your website, your social media accounts will be looked at most by your customers. By keeping them up to date and looking groovy, you can build your brand and continue to grow your audience/ customer base. 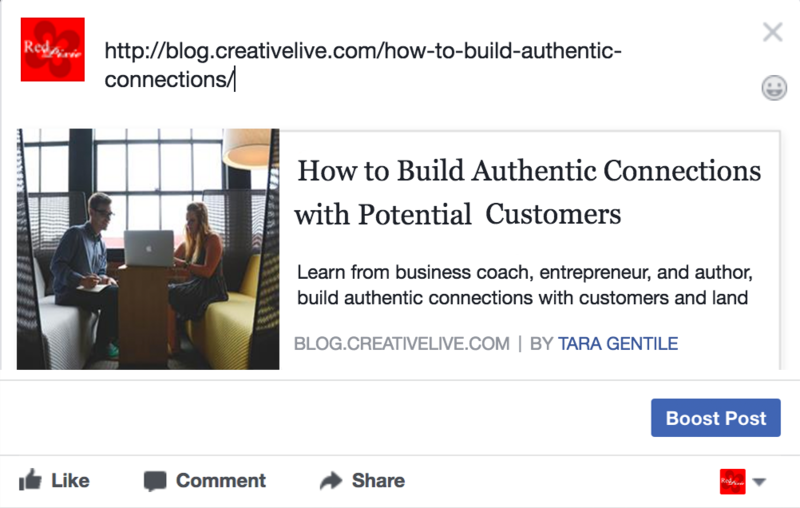 Supercharge your Facebook page and presence with these easy tips. Freshen Up Your Cover Image. Keeping the same cover image for too long comes off stale and boring for people who follow your brand and visit your page often. Spice things up and keep people pleasantly surprised by updating your cover image once every month or two. Don’t forgot to create a new cover image for special events and sales- you can utilize the space to further advertise. Below is an awesome example of a rad Facebook Cover Image by Peg Fitzpatrick. Notice the creative use of imagery by adding an arrow in the design that points right to her Facebook Call to Action button. Great idea! I love her blog! *cough* Anyway, not only does her cover image stay on brand, but it's also visually striking, tells you what she does, shares her website url, and of course, has that awesome arrow that points to her Call to Action button. A brand page should have an overall design feel, however, showcasing a variety of post types is important. People are visual creatures so posts with some sort of image are going to attract the most attention and response. While image posts have been the favored post type in the past, video posts are also gaining major traction so keep these in consideration as well. And check out the optimal sharing specs for a video here ( click “ I can’t add a video”). You can get free- to use images at Pixabay. Something else to consider, instead of just dropping a link into a post, add a custom image and change up the title a little to be more visually appealing. For example, see what happens to the image and title below when you past a link. A quick screenshot of what happens when you paste some links into your post. Notice how small the image is and some of the description is cut off. Now see what happens when you take the time to create and add a custom graphic and space the title and body text out properly. Notice in this updated example that I've added my own brief description/ take on the article, and a new custom graphic that sits larger and draws your attention. Invite visitors and your followers to engage with your posts. Simply ask for feedback by ending your message with “what do you think?” or “do you agree?”. You can use open- ended questions to start discussions as well. Passion Planner does an awesome job of this. ‍Passion Planner has an active community and Passion Planner knows exactly how to get them excited and conversing! Video posts, original graphics, new blog posts, and behind- the- scene photos grab interest and build your brand. While sharing community content is important, the majority of your content should be original. Share business news, events, promotions, tips, etc. Consistency is key. No matter how well put together your social media posts are, you won’t be able to make an impact without being consistent. Why is posting regularly so imperative for Facebook pages? To put it simply: You need to stay in front of your audience to be put into the newsfeed. 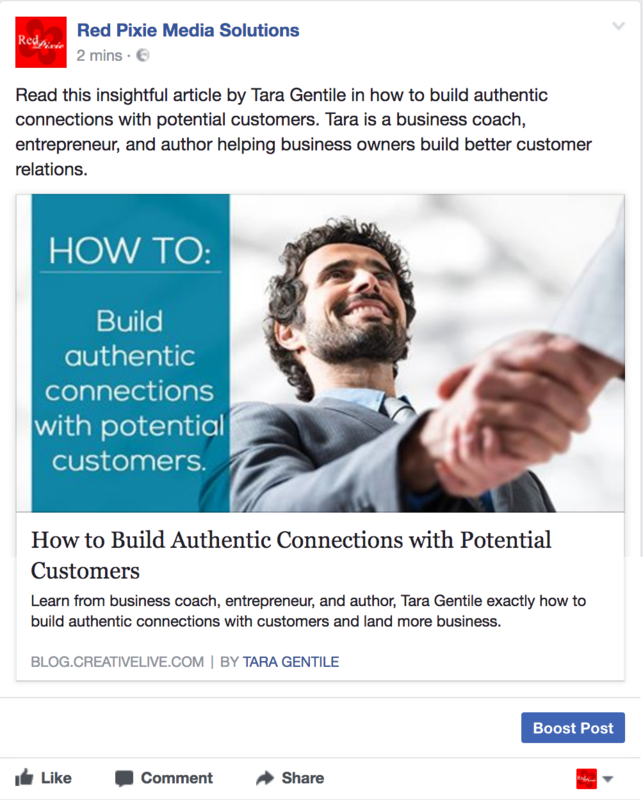 I hope these quick tips help supercharge your Facebook presence! If you have any ideas of your own, feel free to share them in the comments. I'd love to hear them!